It has been a very wonderful week filled with undisputable great events, updates and news. While on the side of some, it was a horrible week with bad experience, to many, it is a great week accompanied with wonders and amazements. * First on Spotlight of the week: During the busy week, attentions were drawn to the press release captioned "WE WILL HOLD YOU RESPONSIBLE SHOULD ANYTHING HAPPEN TO NNAMDI KANU". You'll quickly love to ask- Who made the statement and to who? But hold on, let’s brief you about it. The statement was made by the Indigenous People Of Biafra to the British government who (from the evidence publicized by IPOB) is working with President Muhammadu Buhari to jail or silence Nnamdi Kanu. Base on this ugly and evil plan against Nnamdi Kanu, The Indigenous People Of Biafra raised alarm to the whole world and also gave the British government a serious warning saying they will hold British government (who is cooking the evil plan with Nigeria) responsible if anything happen to Nnamdi Kanu. * While the Spotlight crew was trying to cross the border into Nigeria, a heavy blast on Nigeria crossed the border with us. "YOU LIED, BOKO HARAM NOT DEFEATED"
The above statement and report came from UN SECURITY COUNCIL base on the report earlier released by the Nigeria Army and government which said the terrorist group 'Boko haram’ have been defeated. In fact, the lie attributed to Nigeria's claim was boldly expressed in capital letters. And guess what, they didn't even stop there they raised alarm with a loud voice and say: "Civilians, be vigilant because Nigeria lied about defeating Boko Haram". * The All Progressive Party (APC) are on it again. This time, it's not in Rivers state but in the Nigeria Senate. After the removal of Ndume and appointing Lawan as the Senate majority leader; Senator Abdullahi Adamu(APC, Nasarawa West) called on the deputy Senate president Ike Ekweremadu to defect to APC in other to retain seat. This development and amazing statement from Abdullahi raised dust in the public. Everybody was just like- 'Shoo! Is APC and Buhari also trying to illegally turn Nigeria politics into a one party system? Or does it mean someone must be an APC member before he can serve in the current administration'. The problem now is that we (the spotlight crew) can't give answers to those questions. Buhari and the APC have answers to that. * While new militants are still emerging, others have been bombing pipelines during the week. "Our struggle is beyond ex-militants' allowance" that's according to the group- NDDF. The group made it clear to the federal government of Nigeria that their struggle have nothing to do with ex-militants allowance rather it's for Justice and needful to be done. Note: Since the recent emergence of different militants groups, they've been pointing at one goal which is justice and freedom for their people unlike those who resorted to killings and kidnapping in the past years. The groups also made it clear earlier that the reason why they choose to register their grievances by destroying oil pipelines is because that's the only thing still keeping the grammatical expression called 'one Nigeria' and as a matter of fact, violence is the only word and action through which Nigeria understands and listens to easily. Huh! Nigeria is crying for the current woes yet more is still arising. Oooooooops. * During the week; spotlight of the week laid much emphasis on the court proceedings on the case of Mazi Nnamdi who is currently facing trial in the Federal High Court Abuja. Right there in the court, it wasn't an easy event as on the 10th of January 2017 despite the rejection of secret trial by Nnamdi Kanu and the masses, Justice Binta Nyako(The Mama presiding as the trial judge) carved out a scene in the court room to proceed with the secret trial But guess what? The wise lion of all the tribes of Biafra(Mazi Nnamdi Kanu) voiced out and say "No, never.. You can't try me secretly nor testify against me with masked witnesses". Huhhuh.. Immediately after he voiced out, something happened.. Exactly, someone got it right. Justice Binta Nyako who once said the court belongs to her stood up and ran out of the court room. Shooo! Madam,,, who and what is chasing you, we thought you said the court belongs to you? Up till the moment, the Abuja High Court madam hasn’t explained why she ran out of the court room. In fact; on 12 January 2017 during the next sitting in the court, Nnamdi Kanu and his lawyers gave Justice Binta Nyako a heavy verbal slap on the face that got her confused. Nnamdi Kanu threw in PRIMA FACIE, two simple words and treasonable felony case against him collapsed; in fact Justice Binta got confused and had no alternative than to overturn her previous ruling. Nnamdi Kanu through his lawyer told the court he is a freedom fighter unlike Buhari who committed Treason on December 1983. He further asked the court to quash the charges against him. The hit point from Nnamdi Kanu led to the suspension of secret trial while his application for dismissal of charges will be ruled on February 10th. Whatever the case maybe, Biafrans are waiting and the whole world is watching. This was according to Yahya Jammeh(the president of Gambia). This statement came after United Nations and African leaders asked him to hand over power to Adama Barrow (the president elect) . The angry man didn't stop there.. He even asks court to stop the swearing in of the president elect because to him, the result of the election is unacceptable. Meanwhile, people are still shouting and saying: "Gambia + Politics × Election, Don't let it be like Nigeria politics o.. Spotlight was zoomed to Living Faith Church International a.k.a Winners Chapel were the founder David Oyedepo voiced out fire. During prayers in the Church he said: "Lord if it is your will to break up Nigeria, Break it now". Wait, he didn't stop there. He also invoked curses on those fueling Southern Kaduna killings and other killings in Nigeria. Hmm mm, it seems people are breaking silence. * "Boko Haram have been technically and finally conquered" as claimed by Muhammadu Buhari and the Nigerian military but guess what? Over the week, the military recovered corpses of their missing officers and 15 dead soldiers. Who killed them? Answer- Boko Haram . Where? - In Borno state. On which occasion? - During attack and exchange of gun battle. * As the week was moving forward without any hindrance, something amazing also happened unexpectedly. Stop guessing... Let's Gist you. Omoyele Sowore, the founder of 'Sahara Reporter' was arrested by his paymasters. Cheiii... It was an unfortunate week for Sahara Reporters when Omoyele was arrested in Abuja by the Nigeria police. After he was released, he said Mr. Fatodu masterminded his arrest and when he was asked the big question 'Why? ', he said it was because they both have a misunderstanding . But reports from different source have it that he was arrested because of a failed deal between him and those he always publish fake news for. You see why people have been complaining of Sahara Reporters and other sister medias of junk, bias and fake news? * Still from Gambia; Yahya Jammeh gave Muhammadu Buhari a hot slap on the face. He said: "Obey court orders and release Nnamdi Kanu before coming to make peace in my country". This statement was made when ECOWAS appointed Buhari to lead in the Peace talks in Gambia which demands President Jammeh to accept the presidential result and handover power. * Back to the Northern Nigeria where Boko Haram is in charge of; despite the report from the military that Boko Haram has been degraded, twin bomb blasts that killed dozens rocked Madagali town in Madagali local government of Adamawa state. This came after UN Security Council urged civilians to be vigilant that Nigeria lied about defeating Boko haram. "Buhari, what did we do to deserve lies and wickedness from you? ". * "From next week, we'll cease to recognize you as President" - African Union (AU) to Yahya Jammeh. According to AU, it is the date he is due to hand over power to Adama Barrow, the winner of December 1st election in Gambia. Therefore if he still insist on refusal to accept result and handover power, AU cease to recognize him (Jammeh) as president from 19th January 2017. Till then, we're waiting and watching. They've done the unusual that attracted much attention and love. This time, it happened in the United States Of America (USA). As Biafrans rally in solidarity for Donald Trump, the president elect of America; the United States of America went agog as the rally kicked off because to many, it was quite unusual since such event with colourful and great display to a president elect have never been recorded anywhere in history. Wow! The event was really a mind blowing one. * While bomb was busy exploding in Nigeria, Naira is also on its own angle seriously crashing. Naira has dropped at #3 to trade at #450 to the dollar. Recall that at the Twilight of 2016, spectators forecasted that the naira will exchange at #500 to a dollar and gradually, Naira is dropping to a point where it will finally become useless. After they said they recovered Abubakar Shekau's flag; they said they've recovered Shekau's security guards camouflage in Sambisa forest. Hold on, don't rush... they later released another report that they had another great catch which is 4 notebooks filled with names of Boko haram members. Wow! A round of applause for them. Please don't forget to tell them to inform us whenever they also find Shekau's toothbrush. *Family Writers spotlight of week eagles perched at Nsukka, Enugu-Ezike and their environs where Chukwu Okike Abiama have showered Biafraland with the blessing of the first rain of the year on friday night of 13/1/2017. Family writers Spotlight of the week eagles on global media voyage also discovered that the rain cause no damage but rather all round blessing to people of Nsukka area. The land of the rising sun is indeed blessed as always the frontline star in God's blessing as other parts of the defunct Nigeria can be coming behind. Biafrans who were interviewed expressed how grateful there are and also gave thanks to God almighty for the great downpour and we(the spotlight crew) were not left behind. We also joined them to give thanks to Chukwu Okike Abiama for the first downpour in the year 2017. - IPOB: Nigerian lawmaker condemn secret Trial of Nnamdi Kanu. - NNAMDI KANU'S TRIAL: A clarion call to Nigeria Judiciary Council to compel DSS to leave security assignment to police in court. - DSS harassing and intimidating journalists. - I bought the guns and ammunitions the Fulanis are using to kill southern Kaduna Christians. - Biafrans call for the immediate and safe release of Family Writers' Journalist and correspondent Moses Agbo. 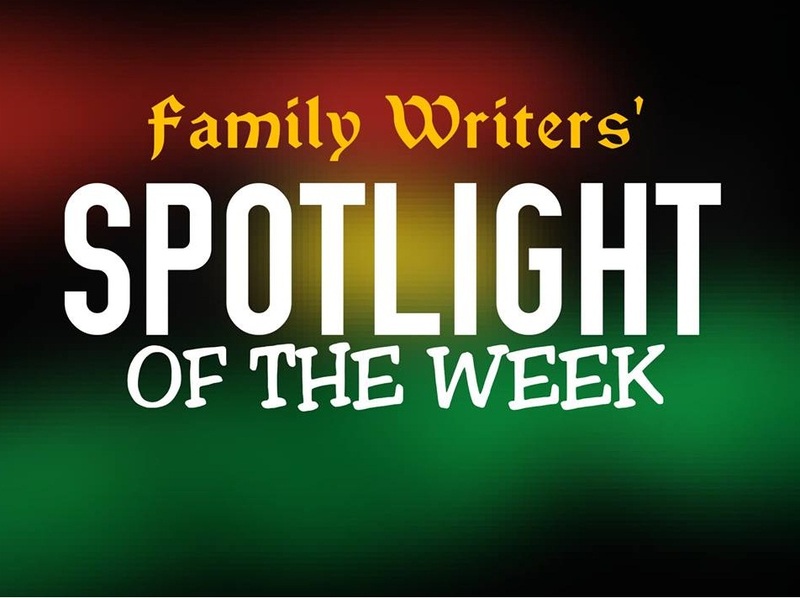 From FAMILY WRITERS SPOTLIGHT OF THE WEEK, we close the window for the week. Wow our God rules forever may Chuku Okike Abiama give you more wisdom to our one and only great Leader Nnamdi Kanu fair not for the God of Gideon is with you always and all other Biafran freedom figthers I say fair not for the God of Israel is with you all and to all Biafrans fair not for our God rules forever May The Chuku Okike Abiama Bless the land of Biafra Biafrans and all the Biafran lovers. Amen our freedom fighters Chuku Okike will never leave you empty handed and our May our Blessed Mother Mary the Mother of Perpetual Succour intercede for you always Amen.